The restaurant industry is an $800 billion industry with over 1.7 million restaurant jobs expected to be created by the year 2026. A culinary degree can give students the competitive edge needed to get their food in some of the finest establishments in the country and move up the industry ladder. The West Coast offers unique opportunities for students interested in the culinary arts to explore such areas as wine making and seafood preparation. There are plenty of culinary schools out there so we created a list of the top 20 best culinary schools on the West Coast to help narrow the field. We looked at culinary schools in Washington, Oregon, and California. Culinary schools selected for our list include those certified by the American Culinary Federation and those with a solid reputation in the industry based on our research. We also looked for schools that give students the opportunity to practice their skills in a kitchen lab. Schools on our list offer an internship or externship opportunity to assist students with developing their professional work skills. The International Culinary Center features reputable culinary programs on both the East Coast and the West Coast. The program offered in Campbell, California features a Professional Culinary Arts Immersion program as well as a Farm-to-Table option. The Culinary Arts Immersion program can be completed in just six to nine months. Using the Total Immersion curriculum, students learn their trade in levels which are structured to prepare students for the challenge of running a kitchen. In the last two months of training, students complete an externship. ICC also provides the opportunity for students to learn farm-to-table principles through field trips and farm experiences. Cascade Culinary Institute is a top culinary school featuring a state-of-the-art culinary facility. The Jungers Culinary Center has cooking labs and a demo theatre, allowing students to not only observe, but practice their culinary technique. The on-campus restaurant, Elevation, received several Diners’ Choice awards from “Open Table” for Best Food and Best Ambiance. CCI offers a multitude of culinary programs to meet the needs of just about every type of culinary professional. Inland Northwest Culinary Academy is an American Culinary Federation Education Foundation accredited institution and is one of the top culinary schools on the West Coast. Orlando’s, an on-campus restaurant, provides the opportunity for students to show off their talents by offering an a la carte lunch menu, including dessert. INCA After Dark is the evening and weekend program for students who cannot attend a traditional scheduled program. Students in either program learn in state-of-the-art teaching kitchens with some of the area’s top chefs. San Diego Culinary Institute is one of the best culinary schools on the West Coast, teaching students the trade through the Commis Method. The Commis Method not only teaches culinary skill, but also focuses on business, marketing, and leadership. Students spend up to 80% of the time in the kitchen, allowing students extensive time to practice what they were taught in the classroom. Kitchens are equipped with Induction Burners, allowing students to keep their focus on the food, rather than the flame. SDCI also features a low faculty-student ratio (around 16:1), and all kitchen classes are taught by a Chef Instructor rather than an Assistant. The Los Angeles Trade-Tech College is the oldest continually operating culinary program in the country. This top culinary school has been training the best and brightest culinary students for over 87 years. LATTC offers AA degree programs that are accredited by the American Culinary Federation Educational Foundation Accrediting Commission. Students have the opportunity to work in culinary positions during the entire program. Culinary competitions, field trips, and guest lectures enhance the classroom experience. 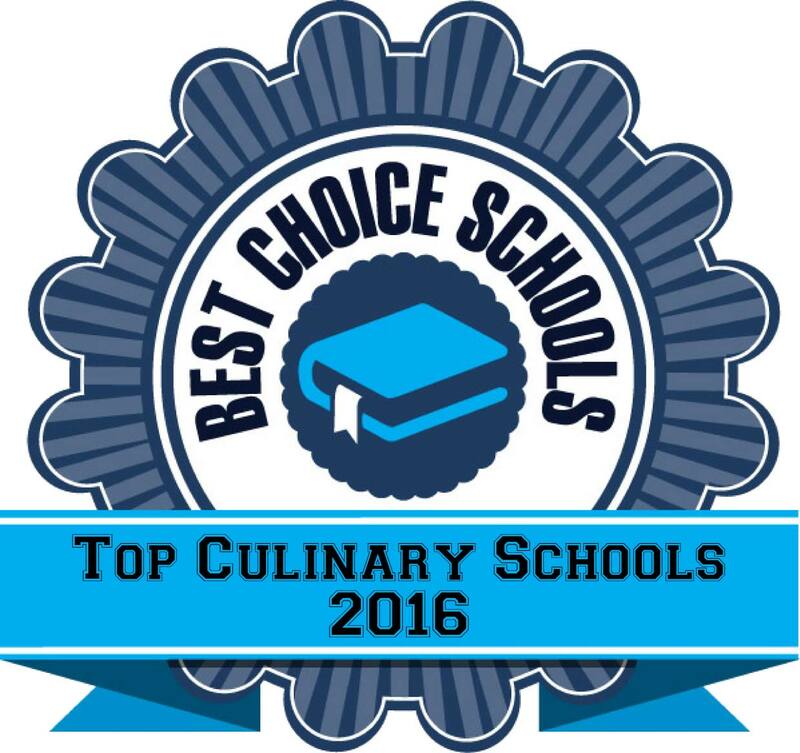 The program is well respected in the industry, being recognized by groups such as Chef de Cuisine of California. Bellingham Technical College features state-of-the-art kitchens and award winning faculty that make earning a culinary degree a valuable asset in this growing industry. Students who earn their AAS in Culinary Arts have the option to begin their culinary career or transfer to a four-year school to earn their bachelor’s degree. The certificate programs are three quarters in length and teach specific skills and techniques to get off on the right foot in your culinary career. BTC operates Café Culinaire, a student run restaurant serving an International Buffet during the winter and an a la carte menu during the spring. Almost 80% of BTC culinary graduates find employment in the field within nine months of graduation. Skagit Valley College offers several culinary programs accepted by the American Culinary Federation Education Foundation. Students have the opportunity to focus on sustainable culinary practices throughout the program. A campus garden gives students the experience of harvesting fresh herbs and vegetables. An on-campus restaurant allows students to gain professional experience in the back of the house as well as the front of the house. Students learn from experienced culinary professionals and receive hands-on training in state-of-the-art culinary labs. Several “Micro-Certificates” are offered by Skagit, including Basic Bakery Competency, Basic Food Preparation Competency, Basic Restaurant Cooking Competency, National Restaurant Association Management, and Sustainable Culinary Practices. Lane Community College has the first dually accredited Culinary Arts and Hospitality Management Program in the state. This top culinary program is accredited by both the American Culinary Federation Foundation Accrediting Commission and the Accreditation Commission of Programs in Hospitality Administration. The Culinary Arts and Food Service Management program can be completed in two years of study. Students learn culinary skills including how to prepare and plan for large events through experience in the Center for Meeting and Learning. Students who earn their AAS degree in Culinary Arts can earn a dual degree in Hospitality Management (additional nine courses) to enhance their skill set in the field. Southwestern Oregon Community College is home to the Oregon Coast Culinary Institute where students have the opportunity to complete their AAS degree in just 15 months. This top culinary school features a student-run restaurant where students receive real-world training. The Chef’s Table offers three-course lunches prepared and served by culinary students. The on-campus bakery, La Patisserie, showcases a student’s work as part of the externship opportunity to complete their AAS degree. Fresh baked goods are prepared and served under the supervision of Pastry instructors. Culinary students also may complete a local or distance externship opportunity in their final term of the program. Bates Technical College in Tacoma offers degree and certificate programs for students who aspire to be dinner cooks, institutional cooks, cook’s helpers, baker’s helpers, or fry cooks. Students learn hands-on culinary techniques including preparation, planning, serving, and clean up. Bates offers a unique certification for those interested in being a Mobile Food Cook. The Curbside Urban Cuisine Food Truck provides the opportunity for students to learn the business in a hands-on manner. Culinary students also have the opportunity to learn banquet preparing and servicing skills at on-campus functions. 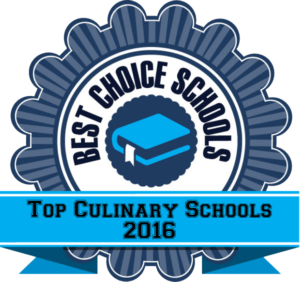 Orange Coast College is a top culinary school offering degree and certificate programs in the culinary arts. The Advanced Certificate is accredited by the American Culinary Federation. Students who complete the certificate can pursue their associate’s degree by completing the general education requirements. As one of the final experiences of the program, students work at the Captain’s Table Dining Room. Captain’s Table is open one day a week for students to prepare and serve a plated meal to almost 100 people. Students can participate on Hot Food culinary competition team, and won the National Championship in 2005. Orange Coast features a fully functional culinary kitchen where students can work side-by-side with cafeteria staff to allow students additional hands on experience. Just outside of Seattle is Lake Washington Institute of Technology, a top accredited culinary school offering degree and certificate programs in Baking and Pastry and in Culinary Arts. Students receive real-work training in state-of-the-art kitchen labs and gain professional work experience in the on-campus student-operated restaurant and bakery. Students have the opportunity to participate in the award winning culinary competition team which builds skills in teamwork and communication. Graduates have gone on to work in a variety of settings including hotels, bakeries, grocers, and conference centers. Olympic College Culinary Arts program features an ATA in Culinary Arts as well as numerous certifications available for a wide variety of culinary positions. Students can earn a Certificate of Completion as a Cook’s Helper, Lead Cook, Prep Cook, or in Retail/Wholesale Baker. Student operated cafes and restaurants, including the Olympic Café and The Fireside Bistro, allow students to practice preparing food and serving customers. Students also have the opportunity to work large scale catering and banquet events to gain additional experience. This top accredited culinary school seeks to equip students with the skills and knowledge needed to advance their culinary careers and become lifelong learners. Renton Technical College is a top culinary school offering an AAS, AAS-T, and Certificate in Culinary Arts. Students can complete the Certificate in just six quarters and their AAS degree in eight. RTC accepts students in the fall, winter, or spring semesters and the program runs from 7 a.m.-1:30 p.m. Monday through Friday. Renton features a modern industry kitchen and classroom, allowing students to learn in the lab as well as the classroom. A low student/faculty ratio helps ensure that students receive individualized attention throughout the program. Advanced lab courses are offered in advanced techniques, garde manger techniques, and cooking methodologies. Internship experiences are a part of the program, giving students additional professional skills they can use to secure future employment and advance in their careers. South Puget Sound Community College features both an AAS degree and Certificate in Culinary Arts. South Puget Sound seeks to foster creativity in the kitchen and individualism in the industry through a newly revamped culinary program. Entrepreneurship is a big focus of the program. Students gain experience in the areas of short order, purchasing, receiving, meat fabrication, garde manger, restaurant baking, and kitchen management. Students can typically complete their certificate in about one year and the AAS degree in about two years. Cooperative work experience opportunities afford students the ability to learn on-the-job culinary skills outside of the classroom environment. Columbia College in Sonora, California offers a holistic culinary program focused on food, career training and student networking. The Hospitality Management program is certified by the American Culinary Federation. Students have the opportunity to learn a variety of skills including wine making, fine dining room management, advanced classical cuisine preparation and beverage management. Columbia College requires degree seeking students to gain professional work experience as part of the program which builds confidence and leadership abilities in the kitchen. The Art Institute of California at Orange County offers one of the most extensive culinary programs in the field, allowing students to choose from a variety of diploma programs, associate degree programs, and a bachelor’s degree program. Students are exposed to a wide variety of culinary techniques and international cuisine. Business skills such as cost control, menu design, dining room operation, and kitchen management are taught as part of the curriculum. The Art Institute of California’s Bachelor of Science degree program in Culinary Management requires a management externship for students to gain additional professional experience. A capstone project and practicum are also required as part of this program that incorporates the principles of culinary arts, management, finance, human resources, and service. AIC features state-of-the-art kitchen labs, professional instructors, and real-world experiences to make this program one of the best on the West Coast. Wine Country Culinary Institute is a top culinary school accredited by the American Culinary Federation and features a state-of-the-art kitchen facility on the main campus and a commercial kitchen at its satellite campus. Students learn basic skills through hands-on classroom/lab instruction. Students also have the opportunity to participate in the Culinary Arts Club to explore the industry outside of the classroom. Students can work in the on-campus café or at various community events including Wine Maker Dinners. The program also teaches catering skills through on and off-campus events. A cooperative work experience is required which can be an externship or working on-campus events. The International Culinary School at the Art Institute of Seattle features exciting culinary programs with unique opportunities to learn beyond the classroom. Events such as “Taste of Korea,” a culinary competition in partnership with the Korean Consulate, awards winners with stipends and tuition assistance. Students also have the opportunity to study in Italy for a different perspective. Students receive hands-on training to learn to professionally prepare recipes. Management skills such as budgeting, cost control, purchasing, and inventory are also taught at this top culinary school.